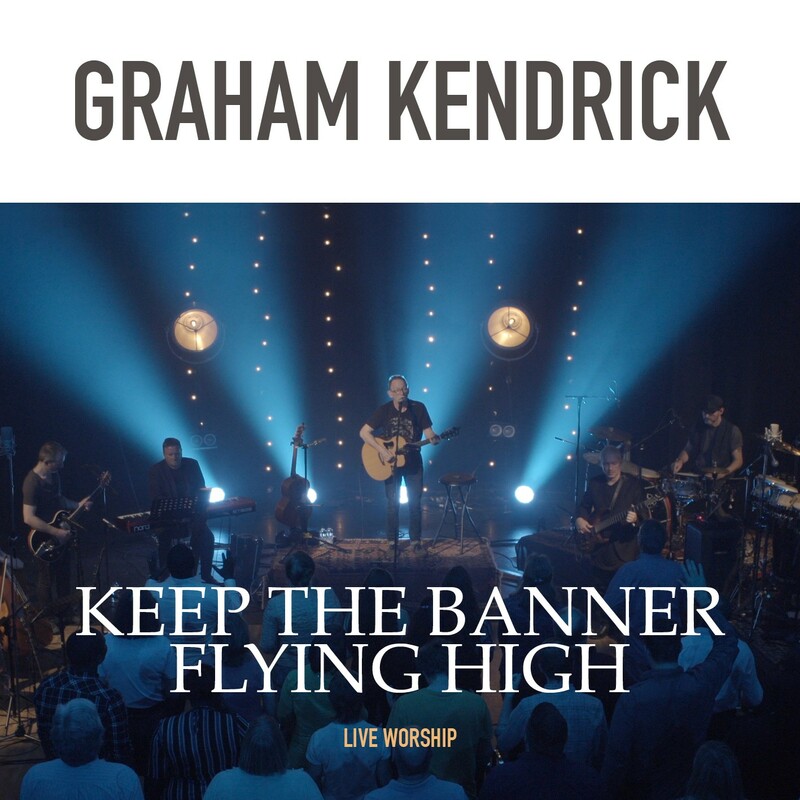 Graham Kendrick is back with a brand new album and, as you would expect from one of the ‘fathers of modern worship’, it is full of biblical truths that still resonate today. Releasing on 18th May, 'Keep The Banner Flying High' is a collection of songs that stir the listener to keep pressing on, keep praying and keep telling the story. As the banner of Christ has been raised up and passed down through generations of faithful saints, so we can now play our part in completing the work together. In these songs we are encouraged to take refuge in God alone, find our worth at the cross, keep worshipping and trusting during good times and bad, with Jesus’ prayer ‘Your Kingdom come’ in our hearts and on our lips. In his first recording since 2013’s Worship Duets, Graham has collaborated with some established names (Keith and Kristin Getty) and some relative newcomers (Jake Isaac, Ben Trigg) with inspired results. Keep The Banner Flying High was produced by Kevan Frost and features acclaimed musicians, including Terl Bryant, Raul D’Oliveira, Mark Edwards and Matt Weeks.